This ARM MCU JTAG Adapter can be used to flash and debug the PureThermal 1 system via JTAG by connecting the included ribbon cable to both board’s flat flex connectors (FFC). You will also need an ST-Link/V2 around (which costs about $22 at Digi-Key) connected over USB to flash/debug PT1. If you are planning on using this for another project make sure that it uses the same flat flex connector as this adapter (Molex Part #: 5034801200). This adapter also has a SWD port and conveniently breaks out ARM Cortex JTAG along with FTDI serial and power signals so it can be used on your other projects as a handy multi-purpose debugging tool for anything with an FTDI serial port. The diagram above shows how the ARM MCU JTAG Adapter connects to PT1 and breaks out a UART for a TTL-to-USB converter for trace debug convenience. Again, this UART breakout feature could also be used for other boards as long as the same FFC connector and pinout is used. We and our partners will be using this connector and pinout on future products. 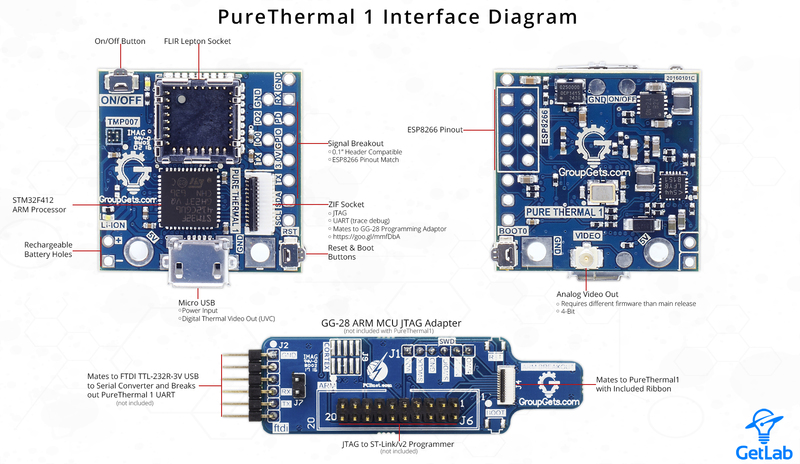 Update 05/25/17: If you have an older ST-Link/V2 and have purchased a PureThermal 1 v1.3 with an STM32F412 MCU, you may need to update the ST-Link's firmware so it will recognize the newer 'F412 MCU. You can do this with its Windows GUI or Homebrew for Mac. Update 06/11/16: The current configuration that is now shipping does not have the boot & reset buttons or Cortex header populated but now does have the FTDI and SWD headers populated. 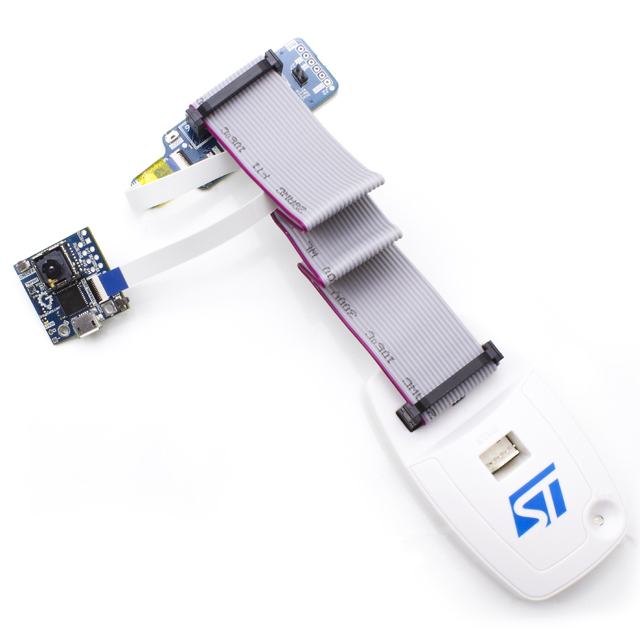 Note that the SWD header (J1) is bottom-facing such that the board can be mounted onto the the ST Nucleo's on-board ST-LINK/V2-1 debugger/programmer via its SWD connector. This is the lowest cost way (~$14) to use our ARM JTAG breakout with PureThermal 1. We've had a good response to this board so we made more and dropped the price.